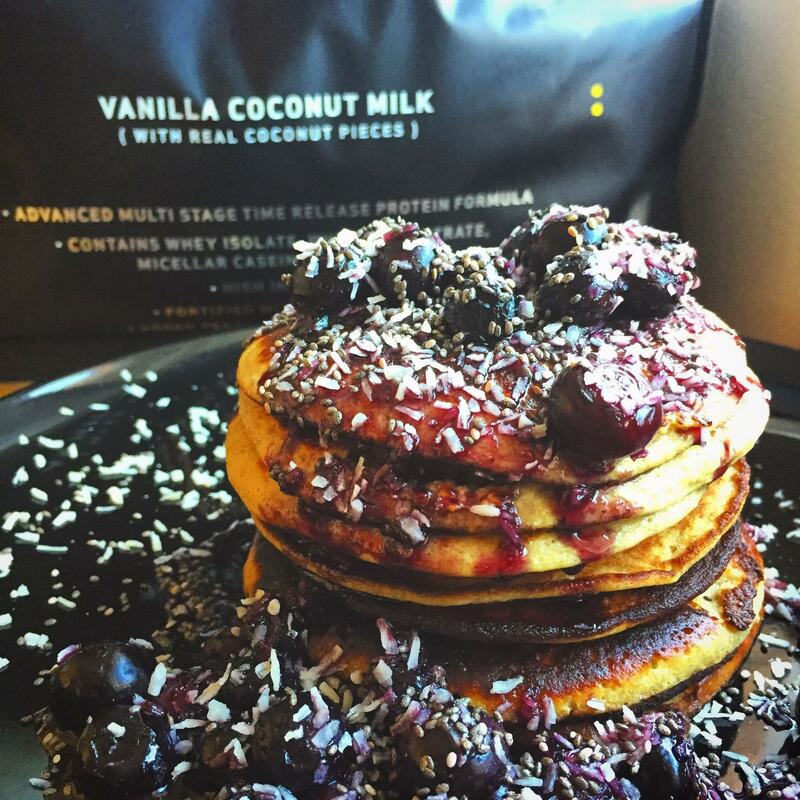 Crack two Eggs into a blender along with two scoops of Time 4 Whey Vanilla Coconut Milk, 60g of Oats and 1 Banana. Then blend! Add table spoon of Coconut Oil to medium heated pan. Once hot, slowly pour in the pancake mixture to form small circular pancakes. TIP: You should be able to fit three pancakes into one frying pan at a time. Then using a spatula, place each one on the plate, and start stacking. Then repeat the process. Once the pancakes are stacked, add Frozen Berries to the pan on a low heat, along with a table spoon of Honey and slowly stir on a gentle simmer. Then pour the Sugar Free Sticky Fruity Sauce on top of the pancakes. Add Desiccated Coconut for decoration.